A special Pixelache Feature will be presented at ISEA2010 RUHR. 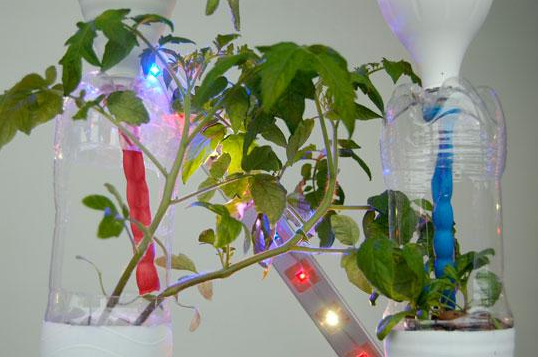 It consists of projects which explore our relationship with nature (Herbologies/Foraging Networks initiative + Terike Haapoja's installations) and a consumer electronics hacking workshop by Koelse / Association of Experimental Electronics. Pixelache Feature at ISEA2010 is a co-production of Pixelache & ISEA2010 RUHR, supported by AVEK and the Finnish Embassy Berlin. 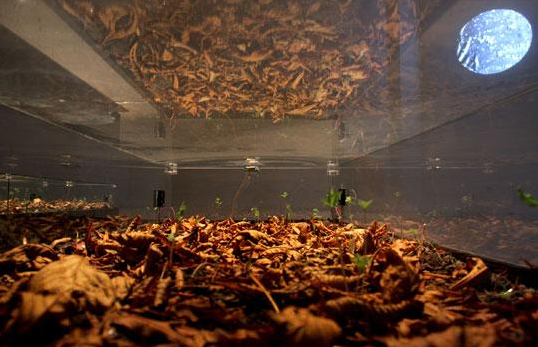 In the Inhale Exhale installation three coffin-like glass cases are filled with soil and dead leaves. Automatic ventilation fans facilitate the decomposition process. The carbon dioxide produced is measured with sensors and translated into sound. As a result, the 'coffin' seems to slowly inhale and exhale as the CO2 level goes up and down. The video Succession shows the 9-day development process of a bacteria culture taken from the artist’s face. Terike Haapoja (*1974) is a visual artist, based in Helsinki, Finland. Her work consists of videos, installations and performance projects. Haapoja’s work deals with human – non-human relationships and the clash of the subjective experience of the world with objective knowledge of it. She also works as a director and visual designer in contemporary performance projects. Haapoja holds a master’s degree from both the Theatre Academy of Finland and the Academy of Fine Arts in Helsinki, where she is currently working on a research PhD. In the workshop we will search for artistic ways to re-use old consumer electronics. We try out different methods to take control of existing hardware with simple tools. We will bend, hack and experiment together with anything we can get our hands on. No prior experience with electronics needed, the workshop is open just to drop by or stay longer as you please. Do bring your old electronics if you have some. Association of experimental electronics (Koelse) is a group of experimental electronics enthusiasts. 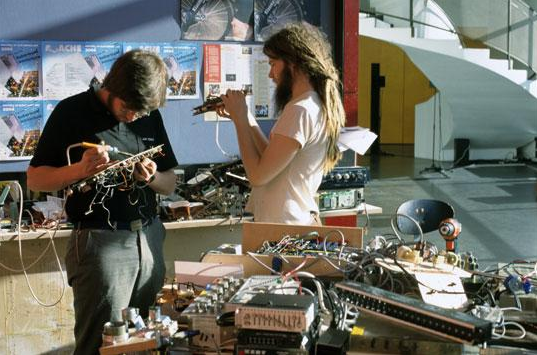 They gather old consumer-electronics and transform it into sound producing devices. With these experimental devices they play concerts, build installations out of them and teach how to build similar things. Their mission is to show that you can turn your own electronic waste into interesting audiovisual experiments. Koelse´s projects have been seen and heard around Europe on festivals, museums, galleries and alternative art spaces since 2002. 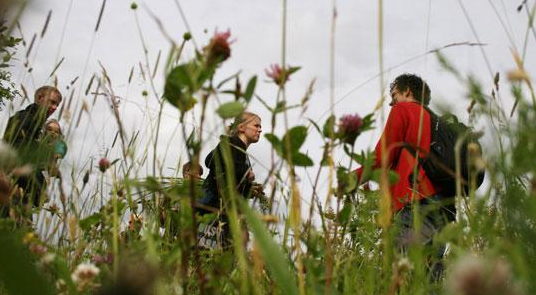 The Herbologies/Foraging Networks programme, previously focused in Helsinki (Finland) and Kurzeme region of Latvia, explores the cultural traditions and knowledge of herbs, edible and medicinal plants, within the contemporary context of online networks, open information-sharing and biological technologies. We will present our production narratives and stories, and invite people to make a new language documentation about home-made herbal tinctures and teas. Ossi Kakko (b. 1979) has been a devoted forager-gardener since 1997. As an artist he has utilized video and networking courses to campaign against GMOs and bio-piracy, and for eco-forestry and forest produce, subsistence farming and ecological housing. As a conscientious objector Ossi waved Finnish military ervice, and the 'either / or' of civil service or 195 days in prison, and disappeared in the undergrowth for 5 years. Recently he's been cooperating with tribal adivasis in India. Andrew Gryf Paterson is a Scottish artist-organiser, cultural producer and independent researcher, based in Helsinki, Finland. His work involves variable roles of initiator, participant, author and curator, according to different collaborative and cross-disciplinary processes. Andrew works across the fields of media/ network/ environmental arts and activism, with a participatory practice involving workshops, performative events, and storytelling. Recent organisational projects include recently ‘Alternative Economy Cultures’ programme of Pixelache Helsinki Festival (2009), ‘Clip Kino’ in Kirjasto10 Helsinki library and other locations (2008-2010), ‘Add+PF+?’ in the Pedagogical Factory programme at Hyde Park Art Centre, Chicago (2007). He is completing a doctoral candidacy at Aalto University School of Art and Design, Helsinki, with the working thesis title of Artistic Practice as Fieldwork. Signe Pucena is executive director and programme curator of The Centre for Interdisciplinary Arts SERDE in Aizpute, Latvia, founded in 2001. She has gained her higher education at the Latvian Academy of Culture in Folklore and Traditional Culture, aswell as a MA in Cultural Management. Between 2000-2008 Pucena was project manager at RIXC Centre for New Media Culture, Riga, producing various new media events, festivals and workshops. Since 2005 she has been participating in the expeditions and fieldwork research in the Latvian countryside, learning about the traditional cultural forms still existing in the contemporary age. Her creative and innovative approach to cultural heritage work with SERDE was recognised with the Latvian Folklore Grand Prize in 2007. Ulla Taipale / CAPSULA (FI/ES) is an independent curator, cultural producer and photographer. Since 2005 she works in Capsula, that is a curatorial research group whose interests focus on the meeting point between art, science and nature. Capsula collaborates with cultural institutions internationally and has curated and produced events for CCCB (Centre for Contemporary Culture of Barcelona), El Matadero/ Cultural Centre of Madrid City, El Laboral/ Centre for Art and Industrial Creation in Spain, Pixelache Festival and Kiasma in Finland, among others. Currently she is working in two ongoing projects, Curated Expeditions and Herbologies/Foraging Networks.